Dark trenchcoats. Slow Motion "Bullet Time". Diving around shooting guns. What's that, you say? Sounds like The Matrix? Hmm. I wonder if there was any inspiration there. To be honest, it's blindingly obvious, but fortunately what DIDN'T happen is that the resulting gaming experience was NOT in any way rushed out so much as to be an awful game. Almost unbelievably, I've got nothing but praise for what was basically a cash-in on a popular film licence. No, I have to hand it to Remedy, they made a great game, with a great storyline, and here's the bit no-one will ever agree with me on... great voice-acting. Alright, I know, everyone who looks at this game slates the voice acting, I just don't understand why. It might not be up there with the likes of the Uncharted series (Nolan North does have an incredible talent), but it's so far above, say, House of the Dead 2 on the Dreamcast it's not even funny. 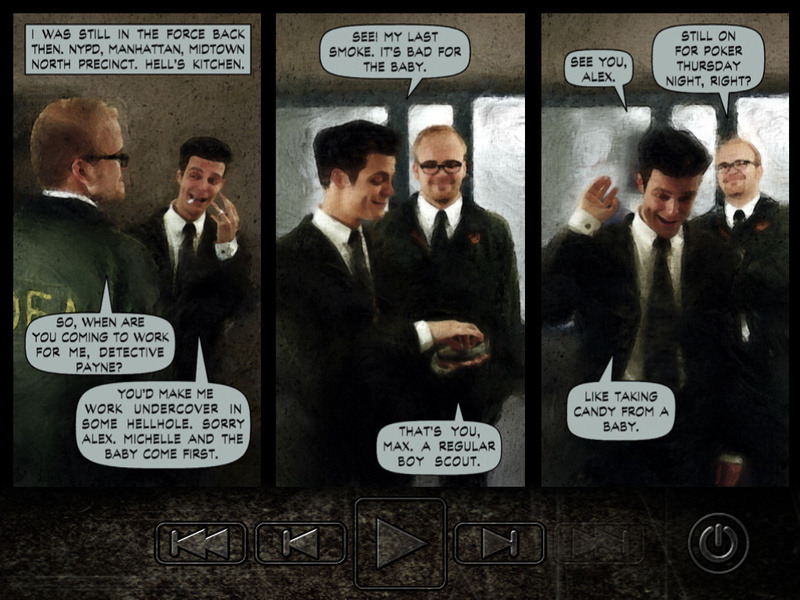 This is the thing, I suppose, it comes down to personal taste, and Max's dead-pan delivery is spot-on to me. Anyway, enough of that, let's talk about the game now. To cut a long story short, Max Payne is an undercover policeman whose family are murdered by drugged-up thugs. As a man with nothing to lose, he's prepared to stop at nothing to uncover the secrets and lies behind the origin of the drug in question, known as V. Starting out among some of the less desirable of the criminal underworld, you slowly fight your way up the chain, discovering eventually that the whole dang thing is overseen by... well, I won't spoil that for you. The gameplay itself takes a little while to get used to, but once you do, you'll be spinning and shooting your way in slow motion all over the place. Whilst as a 3rd-person shooter you can just run around and shoot your enemies, they're pretty accurate and have fast reactions, you're likely to die fairly quickly. You need to find cover and get the hang of diving out in Bullet-Time, aiming with the mouse, trying to get the crucial head-shot or enough body hits to drop the enemies. You may have 2 or 3 to aim at, so your reactions need to be quick. Accuracy will increase the amount of Bullet-Time you can use, and you can use your Bullet-Time whilst just walking around, but it runs out very quickly in that instance, so there's really not much point. Weapons wise there's a good selection, several of which can be dual wielded, but my personal favourite is the Sniper Rifle. 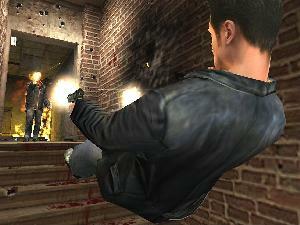 Aim at an enemy's head, and you're treated to a camera angle following the spinning bullet as it traces a path to the fatal impact. It's a gimmick, yes, but it works. To be honest, this was probably one of the first "cinematic" games I really enjoyed. 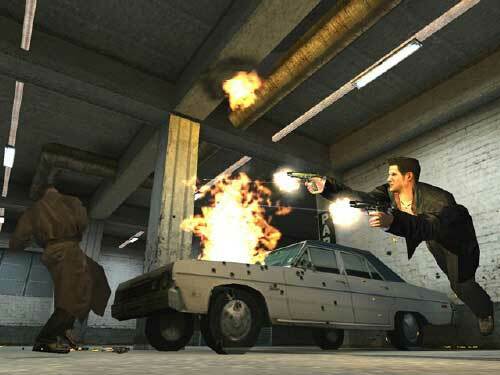 Cut-scenes and storyboards are part and parcel of games nowadays, and Max Payne used them EFFECTIVELY. Alright, graphics are much more sophisticated now, but we'd advanced from Quake and the idea of using the Quake engine to make movies, which, let's be honest... wasn't all that great. Alright, so the game can get a little repetitive at times, but it was nothing short of superb. To keep you playing, there were several difficulty levels, which included a special difficuly called "New York Minute", in which you had a 1 minute timer to complete each level. Don't worry, you could earn extra time, but you were always up against it with that timer. 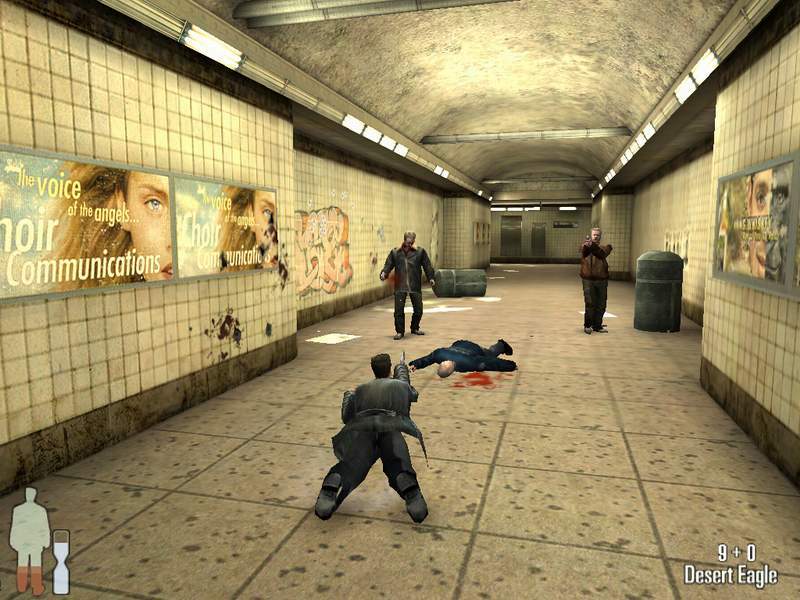 It's worth it, though, because, as a little bonus, hidden away at the end of the game is a version of the lobby gunfight from The Matrix... yeah, it's not exactly the same, but then again, with free level-design tools available on the internet, plenty of people made more accurate versions of that particular scene. 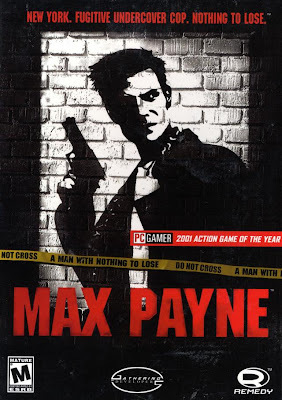 So there's a new Max Payne game coming out. Will I buy it? Maybe. Will it be as good as the original? Doubt it, but I hope so. One thing's for sure, it's got a lot to live up to. If you haven't played the original, go and find it. Now.